Gianandrea Noseda, 53, is widely recognized as one of the leading conductors of his generation. He was named the National Symphony Orchestra’s seventh music director in January 2016, with a four-year term beginning in the fall of 2017 for the 2017–2018 season. Noseda has served as Music Director of the Teatro Regio Torino since 2007, ushering in a transformative era for the company matched with international acclaim for its productions, tours, recordings, and film projects. His visionary leadership and ambitious global touring initiatives over the last decade have brought the opera house firmly into the realm of the leading international companies on the global stage, where it has become one of Italy’s most important cultural ambassadors. Noseda took the Teatro Regio Torino on two major residencies recently: at the Edinburgh Festival in August 2017 which focused on Verdi with the Messa di Requiem and performances of two fully staged operas and at the Royal Opera House of Muscat, Oman with a production of Aida; the Edinburgh residency was among the longest by a visiting company in the Festival’s history. In addition to eight weeks with the NSO, highlights of Noseda’s 2017–2018 season include appearances with the Israel Philharmonic, New York Philharmonic, and Orchestre de Paris, and a tour of the Far East with the London Symphony Orchestra, in addition to concerts in London. In May 2018, he leads the Met Orchestra at Carnegie Hall for the first time. Noseda is a frequent guest with the leading opera houses and orchestras in the world, including the Cleveland Orchestra, La Scala, Munich Philharmonic, New York Philharmonic, NHK Symphony, Orchestra dell’Accademia Nazionale di Santa Cecilia, Philadelphia Orchestra, Royal Opera House, Wiener Symphoniker and Zurich Opera. He made his debut with the Berlin Philharmonic in 2015 and at the Salzburg Festival in 2015 leading the Vienna Philharmonic with performances of Il Trovatore. 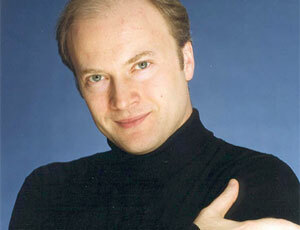 Gianandrea Noseda has a cherished relationship with the Metropolitan Opera dating back to 2002. In the 2016–2017 season he conducted a new production of Gounod’s Roméo et Juliette, which received its premiere at the New Year’s Eve Gala; he also led a critically acclaimed new production of Les pêcheurs de perles which premiered at the New Year’s Eve Gala in 2015. His widely praised 2013–2014 season interpretation of Prince Igor, for which he and director Dmitri Tcherniakov fashioned a new version, is available on DVD from Deutsche Grammophon.